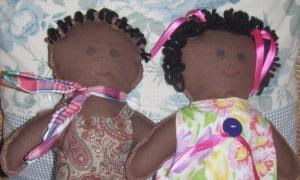 See and select the dollies available for sponsorship. Read about how the program works. Read about which recipients qualify to receive the gift. Read about how the dollies were born. Read about the Mountain of Glory children and church. Read about the Grace Abundance children and church. Read about the Victory Christian Center children and church. Read about the PEMA Church children and church. Read about the Emmanuel Baptist Church children and church.